Harry Potter and the Goblet of Fire Harry, Ron, and Hermione are back in Harry Potter and the Goblet of Fire, a game based on J.K. Rowling's fourth book. As Harry Potter, Ron Weasley, and Hermione Granger enter their fourth year at Hogwarts School of Wizardry and Witchcraft, new challenges await them, both "professional" and personal. 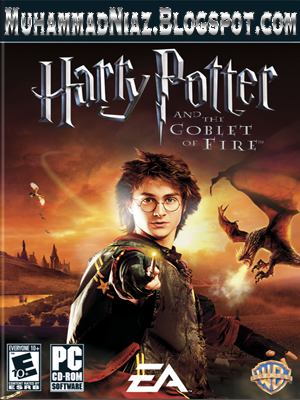 The Harry Potter and the Goblet of Fire video game sticks strictly to the adventure aspects of the story, never touching upon the sticky relationship drama that makes up key subplots in the novel and the film. You'll still have plenty to do in the game, though: Guide the trio of young wizards through various locales, fight magical creatures, solve puzzles, and usher Harry through the Triwizard Tournament challenges just before a climactic showdown with Lord Voldemort himself. Though the collection aspects of the game are a drag at times, The Goblet of Fire still does enough to keep Potter fans engaged throughout. Harry, Ron, and Hermione are back in the newest Harry Potter video game. The Goblet of Fire makes a few departures from the last game in the series, The Prisoner of Azkaban. You still play as Harry, Ron, and Hermione, but the three don't have unique abilities anymore. You also can't switch between them during a mission in The Goblet of Fire. But you'll still solve plenty of environmental puzzles using each character's standard, context-sensitive charm spells. Cast a charm in the direction of a boulder and you'll lift it with a wingardium leviosa spell. Cast it in the direction of a fire, and your character will automatically do an aqua eructo charm to conjure a stream of water for dousing the flame. Carpe retractum (for opening gates) and herbivicus (for causing plants to bloom) are other context-sensitive charms used in the game. The puzzles you need to solve are usually fairly obvious. For example, while exploring the greenhouses of Hogwarts, you may need to use carpe retractum to pull down bridges, and herbivicus to open up lily pads that let you cross small bodies of water. Some obstacles, like extra-large boulders or flames, require two or more of the characters to simultaneously cast their charms to overcome them. The artificial intelligence controlling the other characters is smart enough to help you out when it needs to, but if you're playing three-player cooperative mode, you'll need to work with your friends to do the same task. 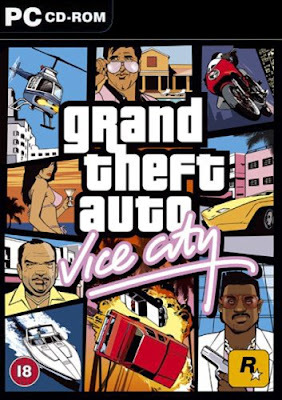 It's also worth noting that players can jump out of cooperative mode at any time, switching control over to the computer if one player needs to leave. Jinx spells are another primary spell type. Jinxes are basically just an attack you use to attack monsters in the game, which include fire salamanders, dugbogs, and erklings. The menagerie isn't very extensive, but each of the monsters has a different fighting style and offers a different challenge. You can combine charms and jinxes to do combined attacks on creatures, as well. For example, if one character lifts a creature up in the air with a wingardium leviosa charm, the others can jinx it while it's being held for a combined attack, which is more powerful and effective than just spamming the jinx button. As you make your way through the game's levels, solving puzzles and fighting creatures, you'll collect Bertie Bott's Every-Flavor Beans, which you can get when dropped by defeated creatures, or by jinxing random parts of the environments. The beans serve as currency, which you can use to buy cards to power up each character. The character card system adds depth to the game, letting you customize each of the three characters depending on the situation and play style. Some cards increase the power of your jinxes; others add stamina or duration to your magicus extremus meter, which when filled, gives you a limited amount of increased firepower for your spells. The more expensive and interesting cards let you fire double or triple jinxes with each cast, or give you an advantage against certain creatures. Each character can only use three cards in a mission, so you'll need to choose carefully before starting. Each character also maintains his or her own bean count and deck of cards, so that encourages you to switch between characters as you go through the campaign and make sure all of them have around equal power. The primary gameplay in The Goblet of Fire involves collecting Triwizard shields that are scattered about the various levels. Some are hidden away for you to pick up, while others are earned by defeating boss creatures. Most of them require you to use your spells to solve environmental puzzles and reach them in out-of-the-way places. As you collect Triwizard shields, later levels are unlocked for play, letting you explore areas such as the Forbidden Forest and the roofs and greenhouses of Hogwarts. There are other items scattered about the levels, such as minishields, statuettes, and mushrooms, that you're asked to collect. Some of these also yield Triwizard shields, while others unlock cards. The problem is that after you've collected all of a certain item, it's never made clear what you've won. Sometimes a Triwizard shield popped up elsewhere in the level. Other times, we never quite figured out what we won by finding all the statuettes or magic mushrooms in a given map. Because the game relies a lot on having you replay certain levels to find all the collectibles, it's somewhat frustrating to not receive immediate feedback on what you've gotten out of searching every nook and cranny. Despite that flaw, it's still pretty fun to explore each of the game's levels the first time, fighting the monsters and finding the Triwizard shields. The Triwizard challenges you unlock also help mix up the gameplay, as they're different in nature from the standard levels. The Triwizard challenges follow the template used in the book and the film; one challenge has Harry fly off on his broom with a dragon in pursuit, while another has Harry explore the depths of the Black Lake. These levels don't involve any exploration or collection--they're pretty much linear races, with some light combat involved. You'll explore various levels looking for Triwizard shields. Graphically, The Goblet of Fire is competent, excelling the most in its environment. For example, as you scale the towers and roofs of Hogwarts, you can see the surrounding buildings of the school grounds in the distance. The dragon that chases you through your first play of the Forbidden Forest is also quite imposing and impressive visually. Spell effects also look impressive, making use of particles and other lighting effects. However, the character models look pretty small on screen and don't animate particularly well. What's most disappointing is that the game never leverages any media from the film, aside from still shots used to decorate the cards. The cutscenes in the game are comic-like in their style, not unlike the cover art of the books. Though they still offer an air of authenticity, the frugal nature of the cutscenes seems oddly deflating given the visual splendor Potter fans have come to expect from the films. 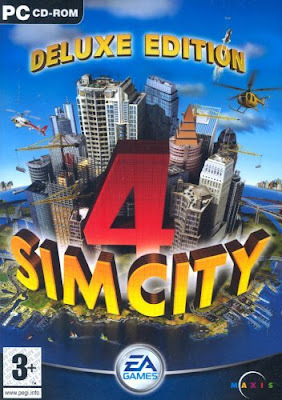 The four platforms look quite similar in general, with the Xbox and PC versions offering the sharpest graphics, and the PS2 and GameCube versions looking somewhat muddier in comparison. As far as sound goes, the spells and creature effects seem pretty good, as does the music used in the menus and during cutscenes. The voice acting used in the game can get somewhat repetitive over time. As a platformer aimed at the younger crowd of Potter fans, The Goblet of Fire does a good job at delivering an experience that is in line with the plot of the books. Even if you're an older fan of the Harry Potter books, the game is still worth checking out, especially if you've got two other friends to play the game in three-player cooperative mode. It's definitely not quite as awe-inspiring an experience as seeing the films, but if you want a more interactive take on what it might be like to be in the world of magic, The Goblet of Fire video game will suit you just fine.